← I don’t know what you’re selling, but I’m buying it! A few weeks ago, I enthusiastically expanded my family. #blessed. On this specific day, I spent the first half of the morning playing on a playscape with a 4 year old and 2 year old, and the second half of the morning watching the most adorable 2 year old laugh and holding a newborn. Needless to say, by the time we were eating lunch, the only thing I could think about is the fact that there is no way I could live my life another day without something cute to play with at my own house. So, I took the necessary measures and $14 and 2 hours later, meet Paul McNibbler. Immediately after Paul got home, I knew he was the perfect fit. First off, we have a lot of the same hobbies. seriously – look at those teeny tiny little fingers – i literally can’t. Paul, like me, loves chips. It’s literally his most favorite snack. He tries to save some for later (don’t we all) by putting them in his food bowl when he’s done, but that never lasts long. You know what they say – once you pop, the fun don’t stop. And once he’s done snacking he licks his teeny tiny little fingers. I. die. everytime. We’re (me and Paul, that is) trying to lay off the chips, though, because he’s really started to pack on the grams and I’m starting to get concerned about him fitting through his tunnels. Watch out. Marathoner in training. He also loves running. In fact, his pure athleticism has inspired me to lace up my old kicks and get back out there. My fear, however, is that the combination of his constant carbo-loading and cardio-training has not only increased his curiosity about my homes’ nooks and crannies – specifically the nook of the couch and the cranny of everything inside the couch – but is also giving him olympic-level training. Sweet Paul has already escaped TWICE. I will admit that the first time he got loose there is a possibility that it may have been because I left his cage open (jury is still out on that one), but this last time…it was really a doozy. 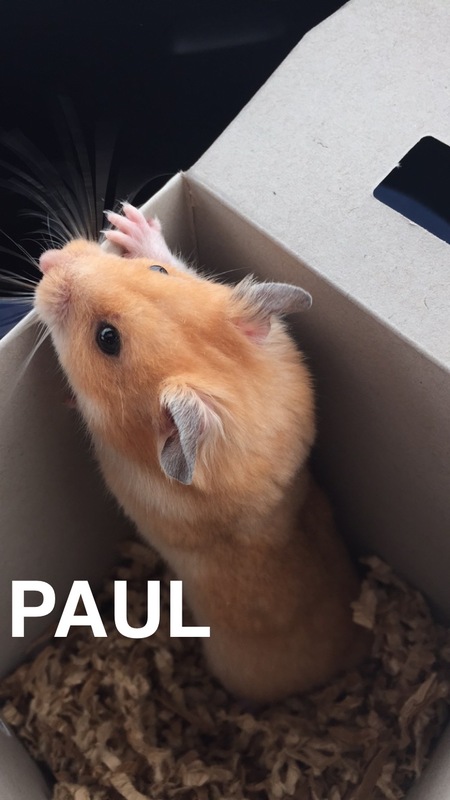 Paul escaped sometime after 10PM on Friday from a cage that looked completely closed. By the time I realized his absence it was Saturday morning and I knew I wouldn’t be able to find him until Sunday because he doesnt normally get up until 8PM and I would be out at a concert by then (priorities). 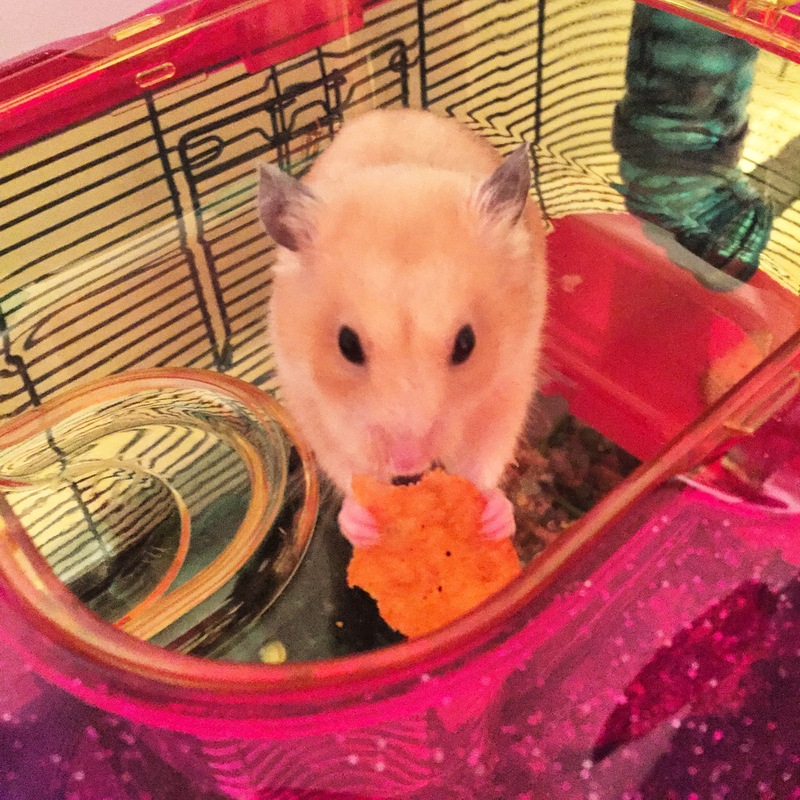 When i got home from the concert I put his cage on the floor and opened the door and put a chip (what else!?) in there. I guess I just figured that after a while he’d want to go home, and once he was home and saw his favorite treat he’d want to snack on it in bed with his eyes closed like I do and then go right to sleep…i mean….he’d have the decency to just stay there. I was wrong. Sunday morning comes and the chip is gone; unfortunately, still is the hamster. What a little rascal. So now I know this rodent is just playing me…but at least I now know he’s still kickin around somewhere. Later in the day I’m watching TV when I hear something – yep, it was Paul…inside my couch. So I do what anyone would do, I flip the couch over and rip the lining of the bottom of the couch – perfectly logical. perfectly efficient. 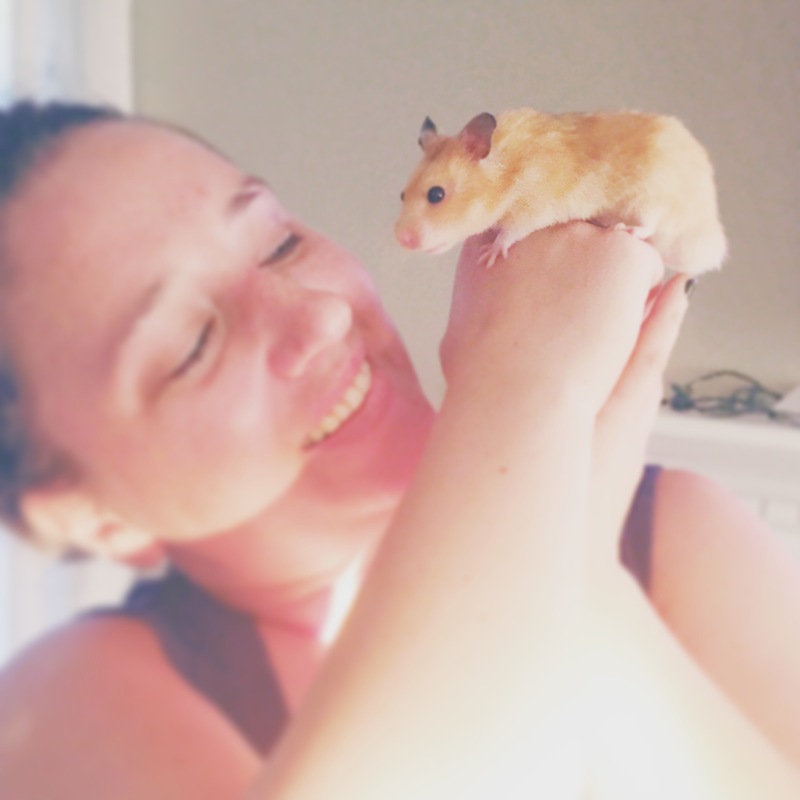 After all, I have been without Paul now for approximately 36 hours, which in hamster time is about 3 months – let’s be realistic people, he’s not going to live forever and I need to make sure I am able to spend the best years of his life w him. I got my wits about me and did the only thing i knew how – bribe him with food. 1 cheese-it and 2 lightly salted lays later (He was so cute for the first cheese-it and chip that I couldn’t get it together quick enough to capture him) I was able to lure him out of the depths of my sofa. I gave him a long talking to about how misbehaved he was and let him know that next time his punishment wouldn’t be so lenient. There’s so many more adventures to share with you, but not today. Today I’m exhausted. No one ever told me how hard this parenting gig really got. Stay tuned for more adventures with Paul and other random thoughts. 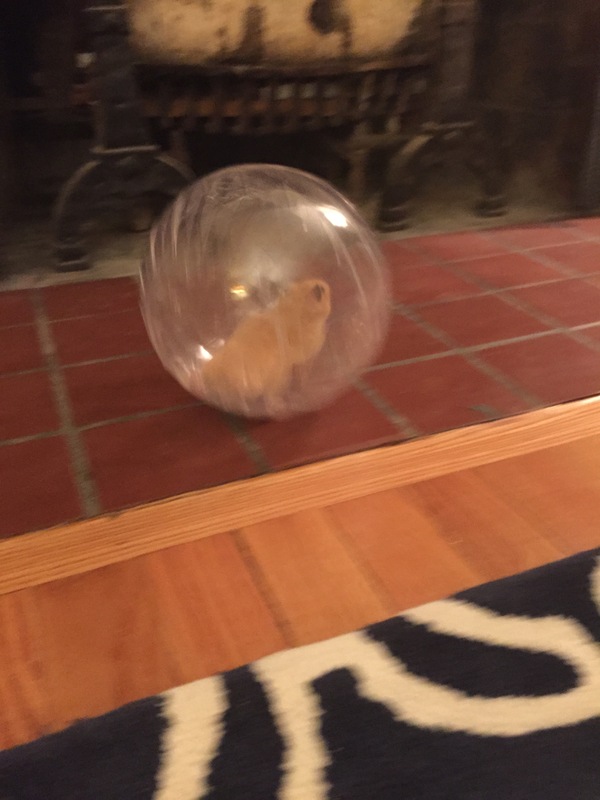 Posted on June 9, 2015, in Uncategorized and tagged Chips, Escape, Escape Artist, GoingHam, Ham, Hammy, Hamster, Paul, Pet, rodent. Bookmark the permalink. Leave a comment.